In July of 1997 , the British band Portishead, who up until then had released two terrific records, Dummy and a self titled album, played at Roseland, a famous New York City venue. That a live album was released was always kind of a surprise to me, Portishead does not play the kind of music that would sound very good outside of a studio. Portishead is one of the pioneers of trip-hop, kind of a more methodical and electronic version of hip- hop. 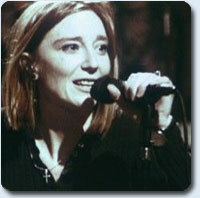 Beth Gibbons, the lead singer and co-writer has a wonderfully slinky voice, that even when she attempts to use it in a harsh way still somehow sounds aerodynamic, if such a description is possible. Without her, Portishead would be writing music for James Bond movies, she lends the band a smooth sensuality that adds immeasurably to every track. 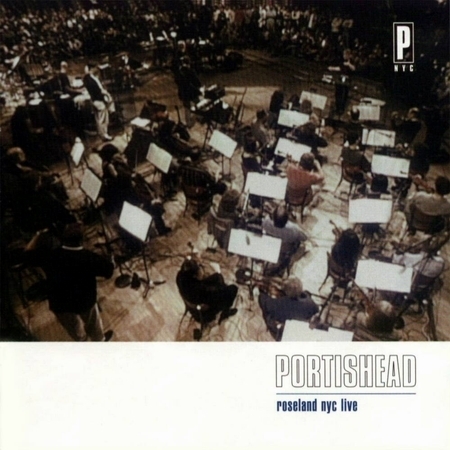 The surprise of PNYC, the album, was that it was one of the better live albums of recent memory, and not just because of the difficulty of reproducing Portishead’s music on stage, but because it seemed to be a complete reinterpretation of the band’s music without betraying the core ideas. It maximized their strengths, Gibbons’ voice, the hypnotic effect of the rhythm, and minimized their weaknesses, the repetitive nature of the music, I’ve been listening to them for years and could barely differentiate between any of their songs. Even the usual indulgences of live performances like long solos and smug extensions of the vocals are used as assets here. It’s even one of the few times that accompaniment by a small classical orchestra doesn’t seem like a pretentious addition, rather it’s a refreshing idea. However, the video version of PNYC includes a lot of “1997” effects, look-at-me-I’m- directing slow motion crowd shots, pretentious footage of the band ruminating during the music, before the show, and backstage, annoying video effects that makes you wish you could back to more footage of Gibbons chain-smoking (she must go through a pack during the show, it’s only 80 minutes long, including the credits) and other happily long forgotten techniques. Is there a difference between listening to the album and watching this DVD? No, not really. The music is basically identical to the album. Only”Numb and Undenied, chapter 9-10, are different from the album version, because I don’t believe they were included. In fact the visuals of the entire show are so unappealing, that it is really only worth getting to hear the band in 5.1 sound, a definite standout. We pray for another album from Portishead, which, as of yet, has not come to pass. PNYC, which is presented in its original full frame dimensions, was shot indoors at Roseland and the VHS version originally came out around 1999. It appears as if there has been no work done for the DVD at all. Probably from the setting, the colors are a mostly ugly brown that bleeds into all the surroundings and makes the disc pretty unpleasant tolook at. The sound is the major boon here, which is both stereo and 5.1 surround sound. The 5.1 track is absolutely the way to go, the music sounds fantastic on every track and gives the film the ability to simultaneously play as foreground and background. The menus must be mentioned first because they work wonderfully with the music, and put you right in the mind to press play. You can select individual songs to listen to from the chapter list, it will play that one song, and go back to the menu. This may be why the chapters are mismarked on the back cover, for instance Sour Times is chapter 12, not chapter 11. The extras include three short films, none of which are any good. At their worst, the shorts are simply irritating, but you can at least appreciate the music, which even if you were a fan, have probably only heard on the import singles released a few years ago. There’s certainly a gorgeous version of Wandering Star that I hadn’t heard before. There are also 5 music videos, and apart from All Mine, the visuals are unremarkable (one of the videos is just an even shorter version of one of the short films), but the music in its unabridged form is still a treat. As an introduction to Portishead, this is nice way to go, the sound is great and the retail is only $20, but for fans, this is iffy because of the similarity of this version to the album and the awful visuals. 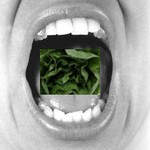 This entry was posted on Tuesday, January 27th, 2009 at 9:30 pm	and is filed under Documentary. You can follow any responses to this entry through the RSS 2.0 feed. You can leave a response, or trackback from your own site.